New home: I’ve been living in Iraqi Kurdistan for a few weeks now. In the maelstrom that is Iraq these days, Kurdistan is a safe haven. 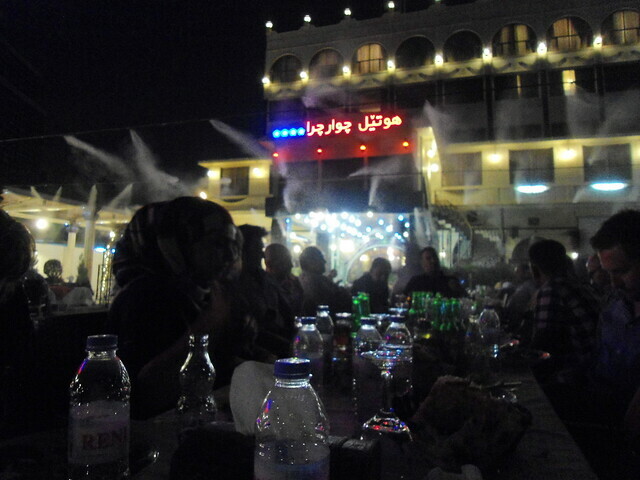 Here I am at a dinner with colleagues– Iraqis really have the best garden cafes and restaurants. Note the cooling water spray system! Wow, thinking of you! I’m glad you’re in a safe place. The water spray system is so cool, and it came out so good in that photo!